Out on a double date of sorts with my best friend, his girlfriend and a girl that I’ve been interested in for far too long to even recall. We all hung out, got dinner then caught a movie and that’s when I done goofed. Three years ago, this April, I was out biking and was t-boned by a woman driving a Mazda 6. It really messed up my left hand. I have a ton of scar tissue built up on the inside of the top knuckle on my middle finger. I lost and still don’t have any feeling in my middle finger due to nerve damage. The story is the same with my forefinger only with less scar tissue build up. 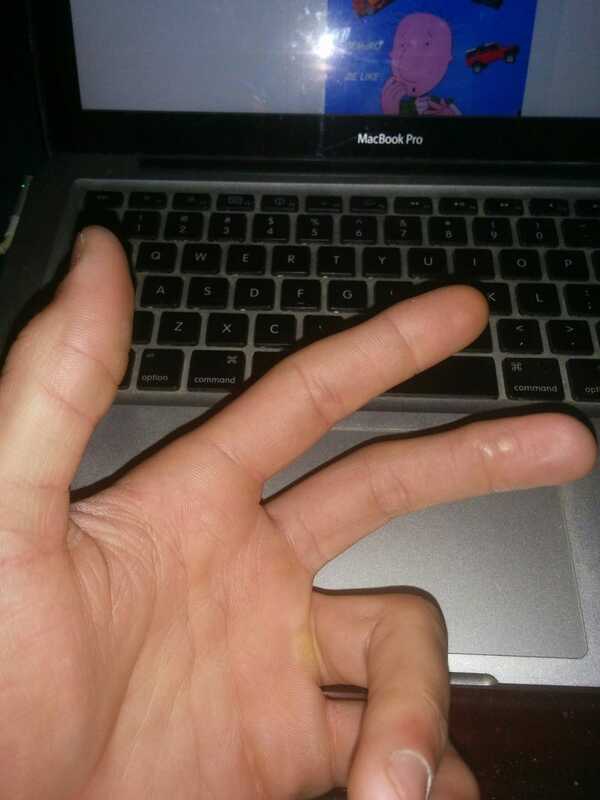 These fingers were de gloved in the accident and that’s what caused the nerve damage. I also have arthritis and a very limited range of motion in my thumb. Anyways, to get address my headline. We were all at this movie and my date happened to sit down on my left while my friend and his lady sat to the right of me. I simply wanted to hold hands with my date during the movie, that’s it. I couldn’t bring myself to do it because I’m so damn self conscious about what a woman would think if she held my hand and felt the gross scar tissue on my fingers and my borderline useless thumb. I just couldn’t bring myself to simply extend my hand and hold hers. It’s pathetic. She texted me after the movie thanking me for the night and what not. A few texts later she said she wanted to hold my hand and asked why I didn’t. I haven’t responded to her text. She knows about the accident but hasn’t really looked closely at my hand. Sorry for the long, stupid post . I just had to get this out. The fucked up state of my hand has been bothering me for years and tonight it really got to me.